Zgardan tatted, acelasi model ca cel negru de aici. L-am facut set cu o clama de par cu floricica tricotata de data asta. 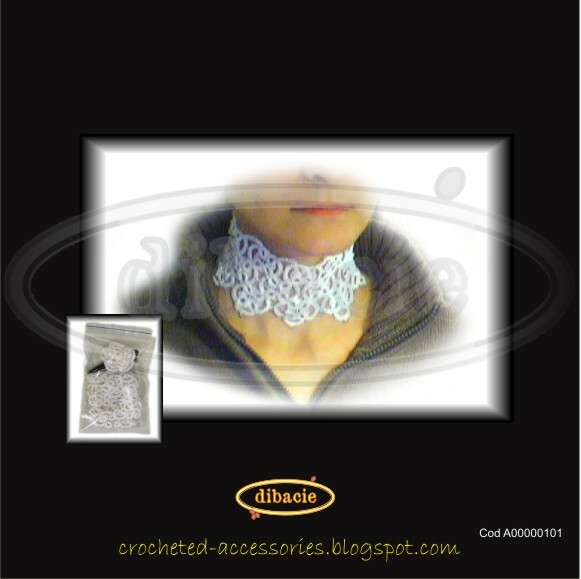 Tatted choker, same model as the black one here. I made it in set with a flower on hair-clip, knitted this time.